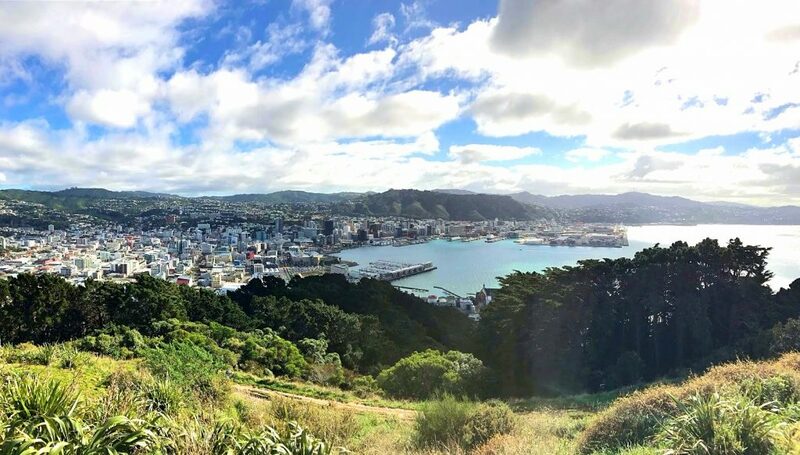 At the southern tip of the North Island, you’ll find New Zealand’s capital city, Wellington. This bustling, compact city reminds us a bit of San Francisco, with the colorful buildings situated so closely together and iconic cable cars providing transportation. 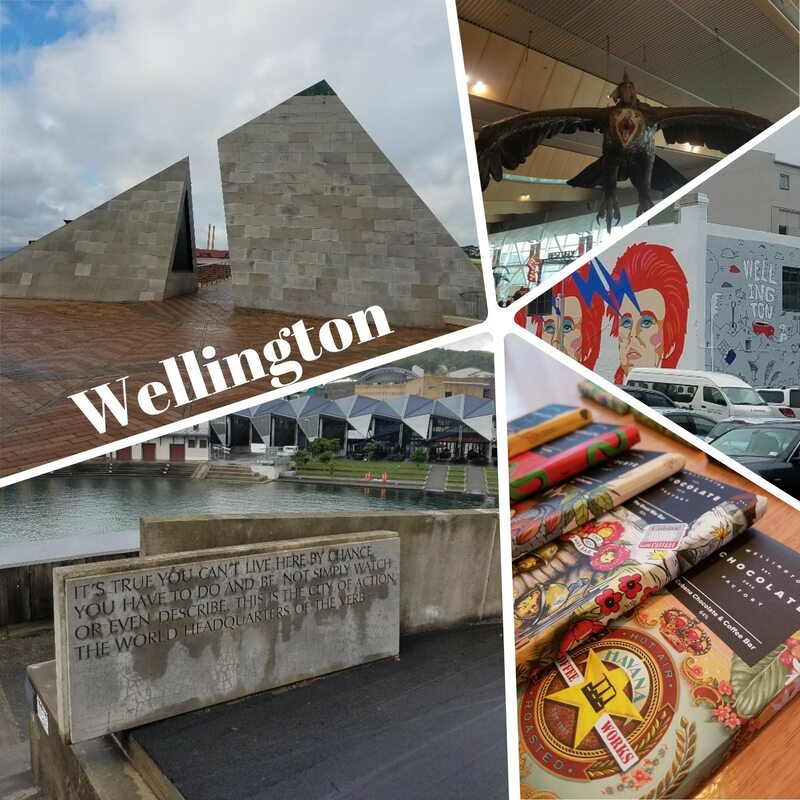 Let’s be honest - you are definitely going to want to spend several days exploring Wellington and the surrounding region during your next trip to New Zealand. However, if you’re anything like us, you may find yourself rushing through a whirlwind tour of the top cities and sights in an attempt to maximize your vacation days! If you’re planning a quick visit, we’ve got you covered with our recommendations for a 48-hour weekend blitz through Wellington and Palliser Bay. 9am – Arrive at the Wellington airport and try not to gawk too much at the two Great Eagles and Gandalf hanging from the ceiling of the terminal. Make sure to grab a picture (we did!) before heading out to explore the city. 9:30am – Start your day by tasting your way around the city, either independently or on a tasting tour arranged by your advisor. Caffeinate at Mojo Coffee (you have a long day ahead! ), grab a few bars of chocolate from the Wellington Chocolate Factory, and swing by Fix & Fogg’s factory window to try their Smoke and Fire Peanut Butter. While you explore the city, keep an eye out for the many murals and street art designs that make Wellington one of the most colorful towns in New Zealand. 11:00am – Stomach sated, head over to Cable Street to visit the Museum of New Zealand Te Papa Tongarewa. Te Papa is the national museum and art gallery of New Zealand, and with free admission and great views over the harbor, it’s a can’t miss! 2pm – Movie buffs can’t miss swinging by Weta Workshop for a studio tour – this special effects and prop company is known for their work on movies like The Lord of the Rings, The Hobbit, Rise of the Planet of the Apes, and The Chronicles of Narnia, just to name a few! Get up close and personal with the props, miniatures, models, and creatures and learn some of the secrets behind their film making process. 4pm – With your daily quota of museums met, grab a cable car from Lambton Quay to Wellington Botanic Garden, one of the oldest in New Zealand. Set aside a few minutes of your busy day to take in the views from the lookout, from the central business district in the foreground to Mt. Victoria. 6pm – Spend your evening wandering the laneways of the city! Make sure to stroll down lively Cuba Street for great restaurants, bars, and live music. 10pm – It’s been a busy day, so settle into your boutique accommodations at the eclectic QT Museum Wellington. The hotel features a curated collection of high and low-brow art, and is a fun and quirky place to spend your night in Wellington. 10am – Halfway through your journey, make sure to stop at the Rimutaka Crossing Lookout. It’s a great place to stretch your legs and grab a few pictures of the view! 11:00am – Pinch yourself when you arrive at Wharekauhau and realize you’ve made the right decision for your stay. Perched above Palliser Bay, this Edwardian-style lodge is located on a vast 5,000-acre estate dotted with Romney sheep, offering an idyllic farm stay. 12:30pm – Drag yourself away from your cottage for lunch. 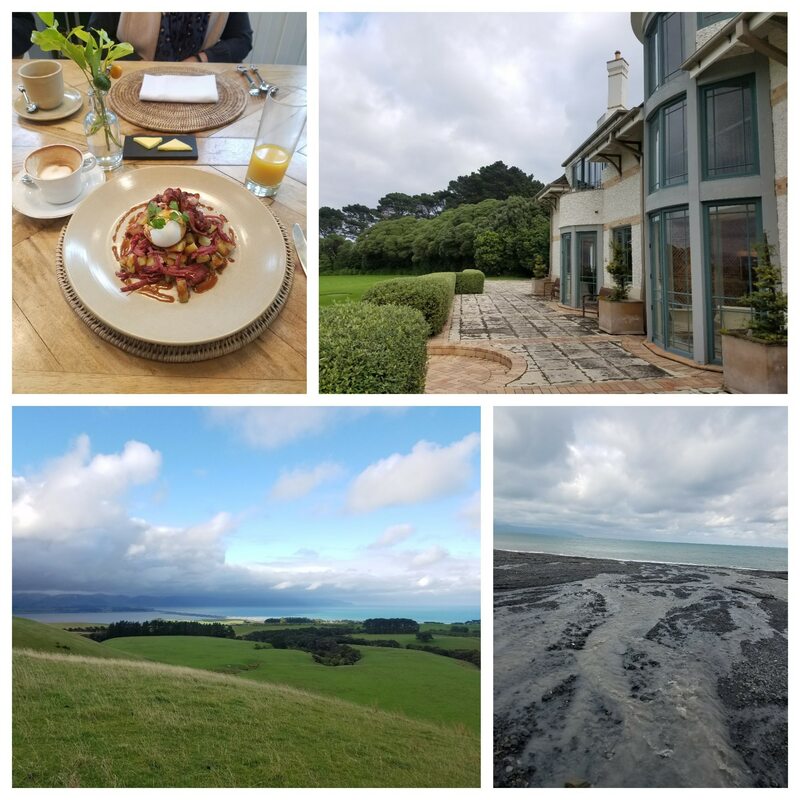 We recommend going with the “Trust the Chef” lunch menu – the talented kitchen team creates a tasting menu showcasing their farm-to-table cuisine that is not to be missed. 2:30pm – Take your pick of the activities galore! Every spring brings 10,000 new lambs to the property, and guests can enjoy a Farm Tour to see sheep shearing demonstrations, sheep dogs in action, and other farm activities. If you’re craving a little more adventure, hop on an ATV quad bike and explore the open fields, riverbanks, and stunning black sand beaches. Or take a lesson in the classic sports of archery and clay bird shooting. 6pm – Enjoy pre-dinner drinks and canapes up at the main lodge. Whatever your typical drink of choice, you must try a cocktail made with Wharekauhau’s very own Lighthouse Gin. This batch distilled spirit is made with a blend of native botanicals, yen bens lemons, naval oranges, and pure mountain spring water sourced right on property. In a word: perfection. 7pm – Savor your way through several delectable dinner courses carefully prepared by the culinary team. The property is a member of the prestigious Relais & Chateaux collection, and serves up fantastic dishes like their signature Texel lamb. For the ideal wine pairing (and some enjoyable conversation!) speak with the gregarious and delightful Assistant Lodge Manager and Sommelier extraordinaire Nicolas. Whether you are a bona fide oenophile or just an amateur enjoyer of wine, we guarantee Nicolas will find the perfect match for your taste buds. 10pm – Head back to your cozy cottage and draw yourself a hot bath to soak away the business of the last 36 hours. Trust us, you deserve it! Check your emails, upload your photos from the day’s adventures, then sink into your fluffy bed for a night of blissful sleep. 6am – We said you had 48 hours, so maximize it! Start your day off with an early morning hike. The lodge offers walking maps that show the different trails, with your choice of walks through ancient forests, around peaceful lakes, and along the wild coastline of black sand beaches. 8am – Head back to the lodge for some well-deserved breakfast. While at the lodge, make sure to keep an eye out for the newest addition to the Wharekauhau family: lodge puppy Merlot. 9am – Make sure your bags are packed, beg a to-go cup of coffee from the kitchen, and say goodbye to Wharekauhau! Or maybe realize that 48 hours for Wellington and Palliser Bay was not enough, and beg your advisor and Lodge Manager Richard to extend your stay a few nights… Up to you. 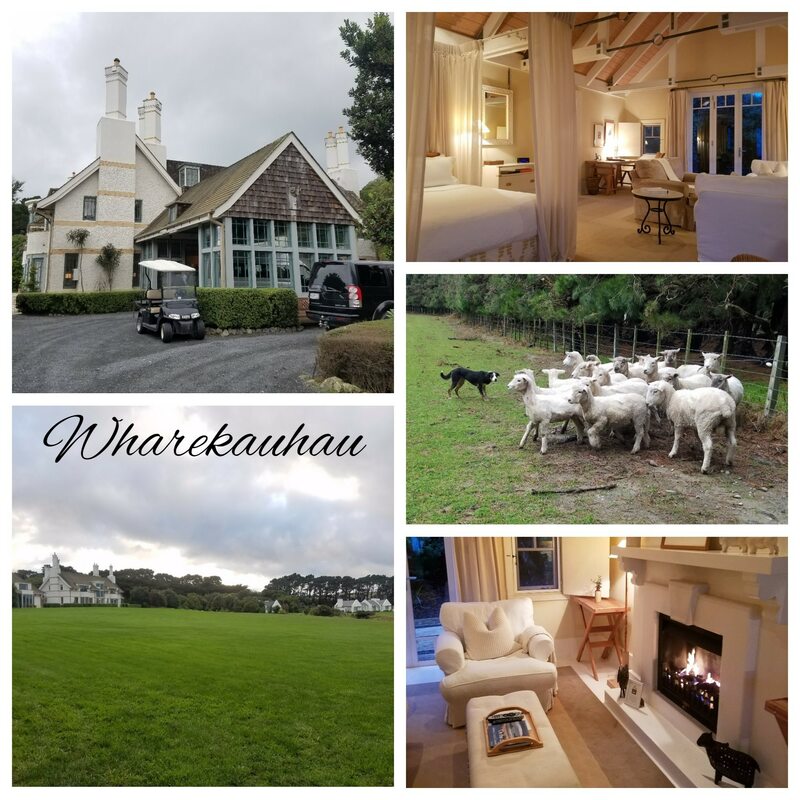 Hopefully we've made our point - that there is plenty for you to see and do in Wellington, and plenty of reasons to indulge in classic Kiwi luxury at Wharekauhau. While we can’t quite recommend only spending 48 hours exploring this area, we can recommend how to fill several days as part of a larger New Zealand trip! Contact us to get started on your own New Zealand getaway. Ready to plan your own trip to New Zealand? Send us a message to learn more!